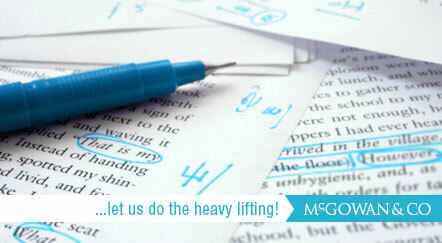 Let us do the heavy lifting for you. If you (and we) are satisfied with the content and structure of your document, we will edit for grammar, spelling, punctuation, and word use, according to your style guide or ours. We’ll also check for internal consistency and the correctness of facts, ensure that headings and subheadings are correct, and indicate where tables, figures, and illustrations should be placed. We’ll revise vocabulary and style to Canadian, American, or British standards, including metrification of numerical data. If required, we can provide or edit back matter, cover copy, and/or CIP data.